These general conditions of sale define the rights and obligations of LE SLIP FRANÇAIS and of the Customer in regards to the products presented by LE SLIP FRANÇAIS on its website www.leslipfrancais.fr (hereinafter referred to as "the Site"). They apply exclusively between the company LE SLIP FRANÇAIS, 1 rue du Mail, 75002 Paris, Siret: 539 130 195 00016 (hereinafter referred to as "LE SLIP FRANÇAIS") and any physical human consumer visiting or making a purchase via the website itself (hereinafter referred to as "the Customer"). 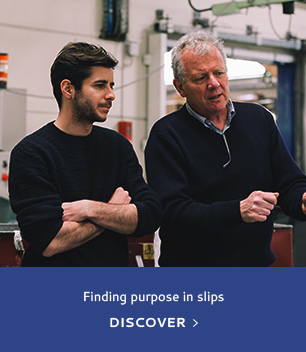 On the Site, LE SLIP FRANÇAIS allows the customer to order online products from the brand LE SLIP FRANÇAIS (hereinafter referred to as "the Product(s)") according to the present terms and conditions. Any order placed via LE SLIP FRANÇAIS therefore entails the unconditional acceptance by the Customer of these conditions. LE SLIP FRANÇAIS reserves the right to modify the current general conditions at any time without notice; the applicable conditions are those in effect on the date of the order by the Customer. The in effect general conditions of sale are available permanently via the following address: https://www.leslipfrancais.fr/cms.php?id_cms=3 in a digital format modified for printing and/or downloading, so that the Customer may reproduce or save them at any time. 2.1. The products on sale are presented on the website of LE SLIP FRANÇAIS and accompanied by a description. 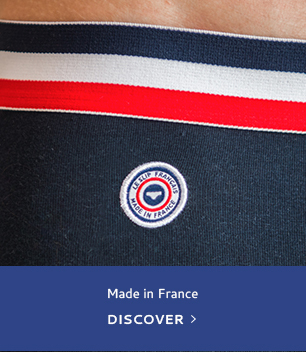 2.2.Products offered by LE SLIP FRANÇAIS comply with the applicable standards in France. Elements such as images, text, graphics and all the information and characteristics illustrating and/or accompanying the products are not contractual, which the Customeracknowledges. As such, LE SLIP FRANÇAIS does not incur any liability for error or omission of any of these items or in case of modification of said elements by suppliers and/or publishers. 3.2. The Customer undertakes to provide LE SLIP FRANÇAIS elements of real and necessary information for the performance of the intended service of the present conditions as requested online and relevant to their situation, including a valid first name, last name, address, phone and email address. 3.3. Once the order has been placed, LE SLIP FRANÇAIS addresses an email to the Customer confirming it. It informs of the sending of the Products. 4.2. LE SLIP FRANÇAIS reserves the right to cancel or refuse an order in case of dispute with the Customer on a previous order. 4.3. LE SLIP FRANÇAIS can accept orders within the limits of available stocks. It informs the Customer of the availability of products sold on the Site at the time of order confirmation. If, despite the vigilance of LE SLIP FRANÇAIS, products are unavailable, LE SLIP FRANÇAIS will inform the Customer by e-mail as soon as possible. The Customer may then cancel the order and refund, if applicable, the amounts already paid. The permanent or temporary unavailability does not in any way engage the responsibility of LE SLIP FRANÇAIS, nor does it imply any right to compensation or damages in favour of the Client. 5.1. The prices displayed on the Site are indicated in Euros including French tax charges (French VAT and any taxes eventually applicable), excluding shipping costs, order processing costs and packaging costs. 6.1. LE SLIP FRANÇAIS delivers its products within France and to all countries of the European Union and can deliver on demand to any country worldwide. In case of late delivery of more than 7 working days, if the product has not been shipped, the Customer may terminate the order by registered letter with acknowledgment of receipt and request a refund of his order. If the item was shipped before receiving the order cancellation for late delivery of more than 7 days, LE SLIP FRANÇAIS will refund the item and shipping charges upon receipt thereof, complete in its original condition and with all labels intact. LE SLIP FRANÇAIS undertakes to inform the Customer of the evolution of the order processing. In case of damaged delivery (already open, missing products...), the Customer shall notify the carrier and LE SLIP FRANÇAIS, by any means, under all reserve within 3 days of receipt of the product. LE SLIP FRANÇAIS cannot be held responsible for consequences due to delayed delivery that are not of their making. Full payment must be made when placing an order. At no time may payments be considered as a deposit or instalments. Customers can pay their order by credit card (Visa, Eurocard/MasterCard) in accordance with the provisions of this Article. The communication by the Customer of his or her credit card number is authorization for LE SLIP FRANÇAIS to debit its account by the amount of the order. LE SLIP FRANÇAIS retains ownership of the item until full payment by the Customer has been made. Purchases are made in a secure manner. Payment solutions adopted by LE SLIP FRANÇAIS are 100% secure. For payments by a banking card (credit card, visa and e-carte bleu), all the information that Customers communicate with LE SLIP FRANÇAIS are strictly protected and guarantee the accuracy and security of each transaction. Within thirty (30) days from receipt of the order, the Customer may request LE SLIP FRANÇAIS to return or exchange of the Product(s). If the return request is validated by LE SLIP FRANÇAIS, and that the customer had paid fees of shipments during the initial delivery, LE SLIP FRANÇAIS will send a pre-paid and pre-filled label for the shipping and handling charges to be borne by LE SLIP FRANÇAIS (for Metropolitan France), or refund the advanced shipping costs (for foreign countries). The returned Product will be refunded within a maximum of fifteen (15) days of its receipt by LE SLIP FRANÇAIS by a credit of the amount to be reimbursed to the bank account of the Customer. The return costs are to be borne by the customer unless LE SLIP FRANÇAIS delivered a damaged or different item from the item ordered, or if the Customer had not benefited from free delivery at the initial delivery. Upon non-compliance by the Customer of these conditions, notably of the conditions of return or exchange, LE SLIP FRANÇAIS will not proceed with the refund for the Products concerned. LE SLIP FRANÇAIS only has, for all stages of access to the site, the ordering process for the shipping of the package or subsequent services, an obligation of means. The responsibility of LE SLIP FRANÇAIS cannot be engaged for any inconvenience or damage arising from the use of the Internet, including a break in service, external intrusion or presence of computer viruses or any other incident of force majeure, according to law and jurisprudence. This Site or any portion of this Site shall in no case be reproduced, copied, sold or exploited for commercial purposes without the express written permission of LE SLIP FRANÇAIS. In general, all copyrights, trademarks and other distinctive signs and property rights or intellectual property appearing on the Site, will remain the full property of LE SLIP FRANÇAIS. LE SLIP FRANÇAIS agrees to only use the confidential information of its Customers in the case of operation of its website. As such, the information may be disclosed to the technical providers of LE SLIP FRANÇAIS. Moreover, LE SLIP FRANÇAIS is able to apply technical means in order to obtain non-personal information about users in order to improve the functionality of the site, for example by plotting the number of visitors to certain pages. According to the law of 6 January 1978 amended by the Act of 6 August 2004, the Customer has a right to access and correct personal data in the files of LE SLIP FRANÇAIS. All requests must be sent by email to: contact@leslipfrancais.fr or by mail to the following address: LE SLIP FRANÇAIS, 1 rue du Mail, 75002, Paris, FRANCE. This computer processing has been declared to the Commission Nationale Informatique et Libertés (CNIL) that issued the receipt No. 1517135 v 0 on 29 June, 2011. These general conditions can be modified at any time without notice by LE SLIP FRANÇAIS, the applicable conditions are those in effect on the date of the order by the Customer. These general conditions of sale are available permanently at the following address: https://www.leslipfrancais.fr/cms.php?id_cms=3 in a digital format modified for printing and/or downloading, so the Customer may reproduce or save them at any time. You can contact the Le Slip Français by phone at +33 (0)9 53 00 40 46.